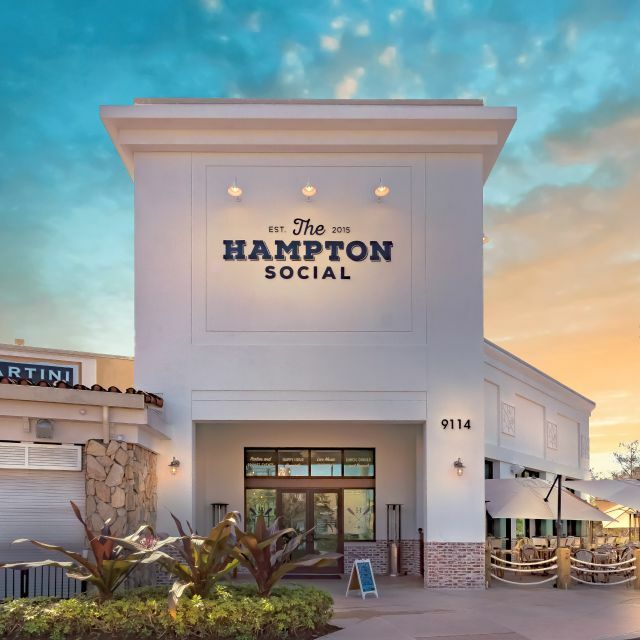 You must make reservations at least 5 minutes in advance of the time at The Hampton Social - Naples. Complementary Valet during happy hour and dinner hours. 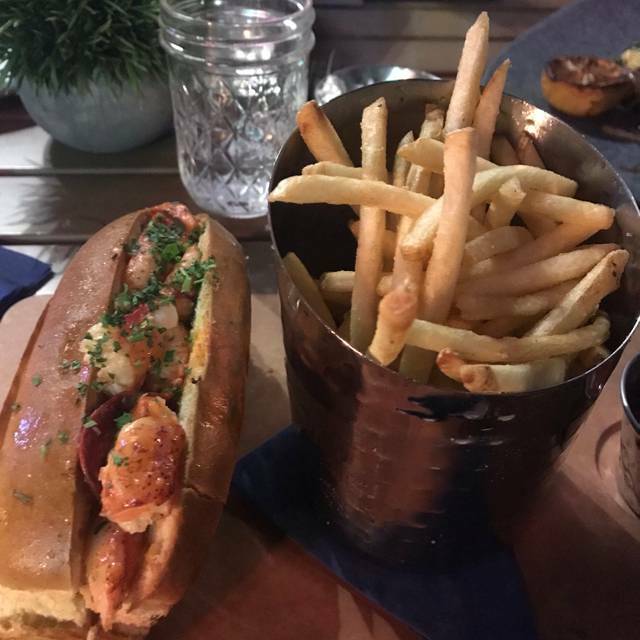 The brand’s first location to open outside of the Chicagoland area, the lifestyle concept (owned, operated and designed by restaurateur Brad Parker) is a dining hotspot that evokes East Coast living in every aspect – from the white-washed, nautical walls to the signature seafood fare. The 8,445-square-foot restaurant also boasts a wrap-around outdoor patio, private dining and semi-private spaces for gatherings and events. For local flare, select menu items also spotlight regional ingredients unique to Southwest Florida. We met a couple there to catch up on news and try something different. What a letdown! The noise level was so loud we could barely communicate. The back room was slightly better than the main. If you’re only interested in being ‘in the scene’ and trying something new this might work for you. Our food was not up to Naples standards and we ordered six different dishes for the table. On a positive note our waiter was attentive and understanding of splitting our bill. I was not impressed the first time. This time was totally different. They had just opened the first trying it. Figured I’d give it another shot and the drinks and food were amazing. It’s just so loud! 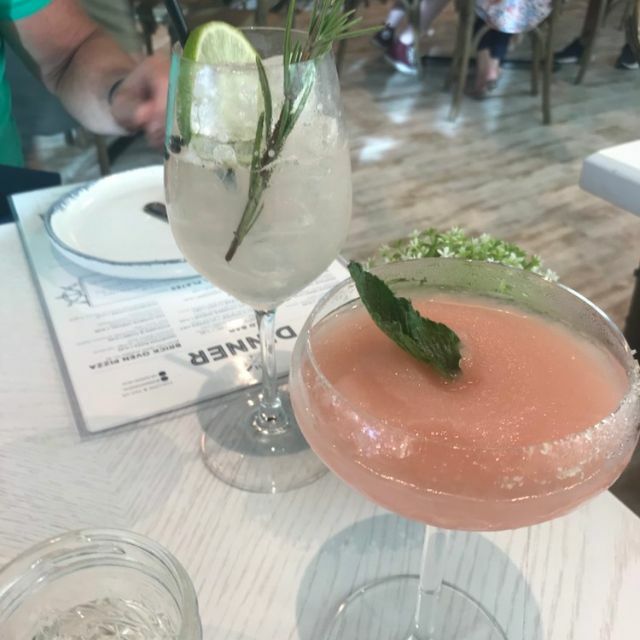 The drinks and food were delicious. We’d be back a lot if not for the noise. We appreciate your review and the feedback. We are very aware of the acoustic challenges and are actively working to find a solution. We hope to see you again in the future, even if it's just for dining or drinks on the patio. JackieO., thanks for spending time with your girls at The Hampton Social. We hope to see you again once the rooftop opens! Our meal was delicious and our server Chrissy was excelllent!!! KsKonfections, thanks for the review. 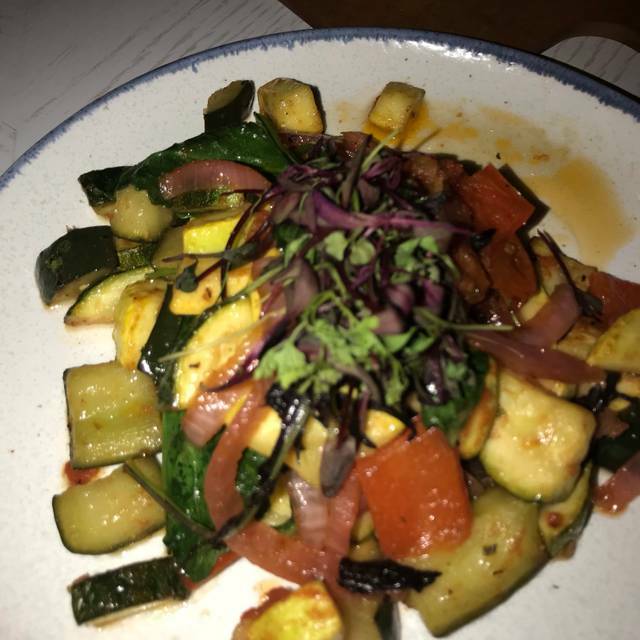 So glad you enjoyed your dining experience. We'll be sure to pass the rave review along to Chrissy. We hope to see you again in the future. Didn't experience any of the previous reviews. Out in the popular area during a holiday week and service was good. Food was excellent would indeed recommend the tuna and avocado. Go enjoy! DanaE., awesome review! Glad you had a good time. We hope to see you again in the future. Food was average at best except for the brussel sprouts. We had to ask another server multiple times for help because our server was not around often enough. Love the decor and vibrant scene but not worth eating subpar food with so many other options in Naples. It's LOUD and may be understaffed. Took a long time to get food and drinks. The decor is nice but way too loud inside. Bartenders using shot glasses to measure alcohol. Haven't seen that ever before. Might be a good place for lunch with girlfriends. Great lobster roll and steak frites. RobertS., thanks for the review. Glad our protein offerings hit the spot. We hope to see you back again soon! 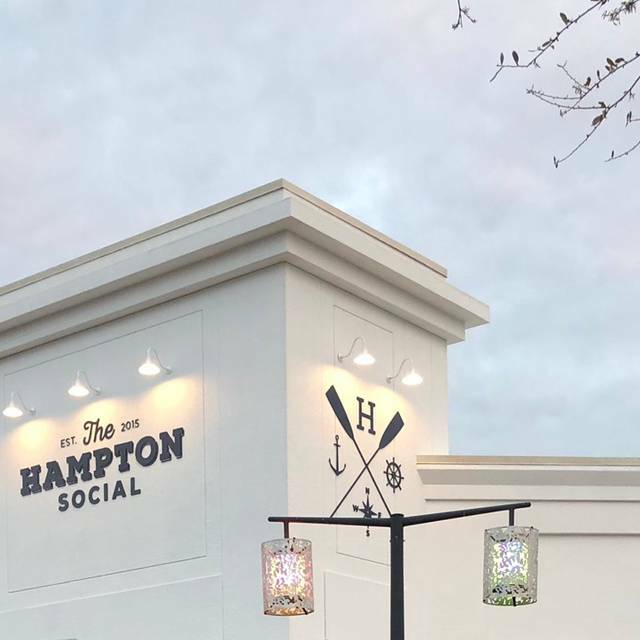 First time to Hampton Social and it will not be our last! Great ambiance, service and food made for a fun evening. JoanneS., what a great review! We appreciate your patronage and look forward to seeing you in the future. Food was so so, loudest dining experience I have ever had. Food was overpriced and the drinks were very small. Not a repeat in our mind. First time there! Will definitely go back!! Table for 2 in the middle of a long row of tables.... the room is very loud and the table position made it next to impossible to have a conversation. We could hear the conversation at the table next to us even though we didn’t want to. CathyL., thanks for the review. We appreciate the feedback on the acoustical challenges. We are aware and are working to address them. Great selection of choices to accommodate a group dining. Great atmosphere, fantastic server. Food was above average but didn’t blow us away. Music video in bar area very very loud. We moved into the dining room. 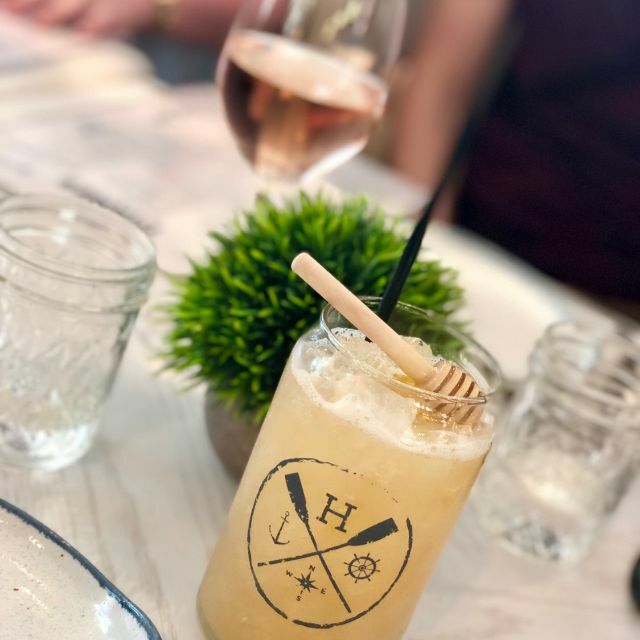 I’ve been to the Hampton Social River North location and had an amazing experience so when we were in Naples for family vacation I knew we should go! The experience was amazing and I’d recommend this to anyone in the Naples area! Thanks for the awesome review! Glad to hear that we were able to continue the good vibes experienced in Chicago and carry them down to Naples. We look forward to seeing you again. Casual atmosphere but very, very noisy! Everything else was good. DanG., thank you for the review. We appreciate the feedback on the acoustics. Please know that we are actively working to address the situation. We hope you come back again to dine with us. RobinM. we appreciate your feedback. We always want our guests to feel as though their visit is worth their time and money. If we didn't accomplish that during your visit, I apologize. We will take the feedback under advisement. First time at this restaurant. We wouldn’t go back. Service was great, food is not. Great filet! Fun drinks. Half the entrées were fabulous and the other half were so/so. Excellent meal.... only complaint... it’s a very loud restaurant! Not conducive to conversation. Joeyc, thank you for the review. Glad you enjoyed your meal. We're working on the acoustics in the restaurant and we hope to see you again in the future. The ambience and decor in Hampton Social is outstanding. Our server was wonderful, and the food came out quickly. Two at our table ordered the Yellowtail Ceviche - which was described on the menu as soy lemon dressing, avocado, radish cucumber, jalapeño. If there was any yellowtail in this dish, I could not find it. 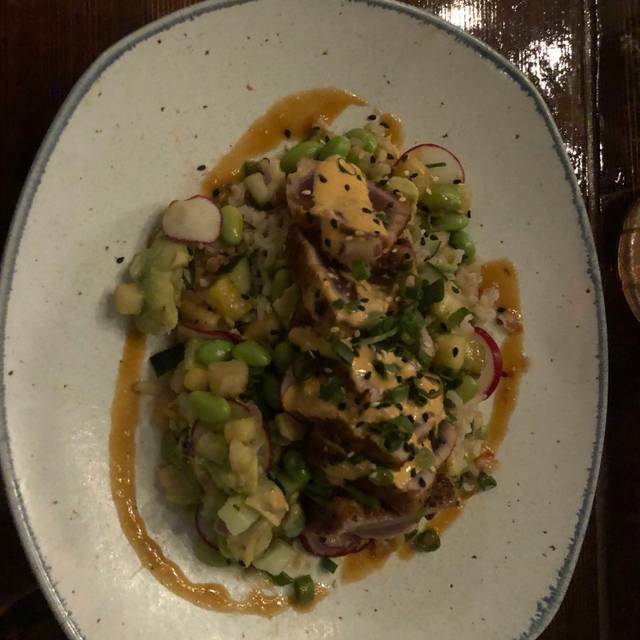 The avocado was mushy and the dish was filled with edamame which wasn't even part of the description. This ceviche was very disappointing. I also ordered the Brussel Sprouts App which was delicious. Another member of our party ordered the Cilantro Chicken Salad and it was great. The noise level in this restaurant on a Saturday evening is off the chart loud - so loud, that it is difficult to have a conversation at your table. JinkyA, thank you for the review. We appreciate the feedback on your meal. As a new restaurant, we are working on ironing out any food-related inconsistencies that prevent our guests from fully enjoying their meal. We are aware of the sound difficulties in the restaurant and are actively working to address them. We hope to see you again. 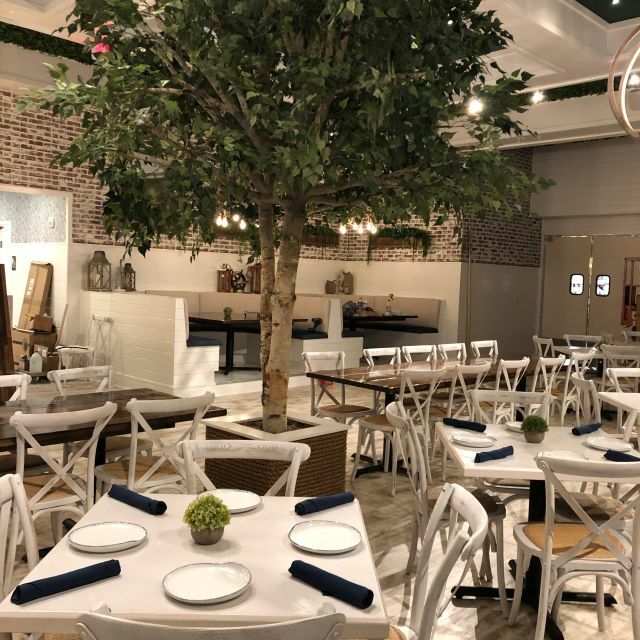 Fresh and hip restaurant approach, which is very much needed in the "overaged" Naples community. Great atmosphere, good food and an overall good vibe with a contemporary touch. The crowd is pretty young compared to many other restaurants in Naples. Overall we very much enjoyed our stay there and definitely will be coming back. KikiMads, thanks for the nice review. Glad you enjoyed your visit and your experience. We look forward to seeing you the next time you're in the area. Great Food, Great Service, just wish that it was a little quieter. I might try it again for lunch however I thought the prices of their dinner entrees were expensive. The decor was very updated and attractive. DianaE, thank you for taking the time to leave a review. We always want our guests to feel as though their money is being well spent. We appreciate the feedback and will take it under advisement. We had a great time with family from out of town. We all loved our meal and will definitely be back. Hopefully we can go to the Happy Hour next time! Thank you for your feedback and for taking the time to leave a review. 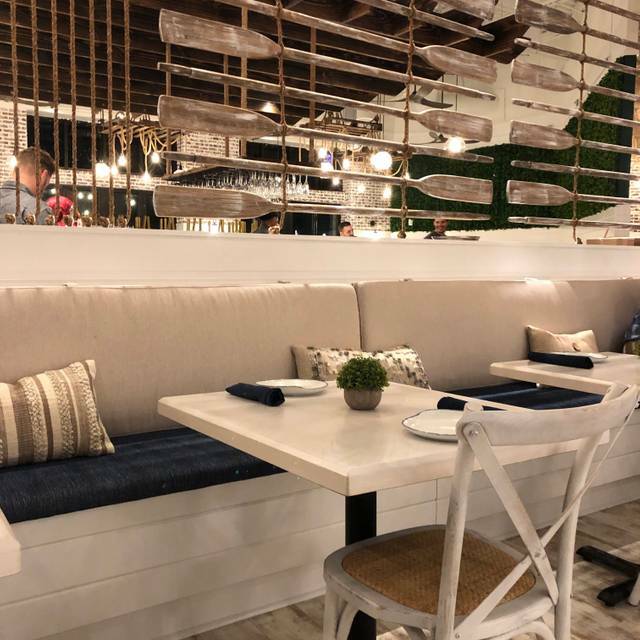 We are aware of the acoustical challenges present in the restaurant and are actively working to come up with solutions to make our guests' environment and experience more enjoyable. We hope you'll stop by again to check us out. Soooo very very NOISY! Our ears were ringing . Food is overly rich in my opinion . Very nice atmosphere, good service. Like most naples restaurants, a bit over priced. Nice new place for dinner. VERY noisy restaurant. Must eat outside if you want to enjoy a conversation. Food is fair. Service OK. Nice looking faclity. I thought the food was overpriced for lunch. The service was excellent as was the ambiance. I would go back but probably for happy hour prices if that is available. We sat against the wall on a bench which was a little high for me. I most likely would sit at a chair at a table, next time.